Unfortunately, bullying has been around for years and despite all the advances in Maryland and the rest of the United States – bullying continues to be a problem that can and does result in serious personal injuries, and, in some instances, death to innocent victims of malicious bullies. 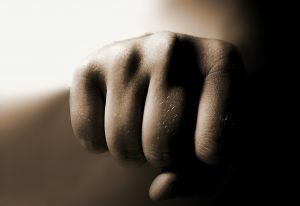 In Cockeysville (Baltimore County) Maryland, police reported that three juveniles have been charged with first degree assault after brutally attacking, beating, and hitting a fourth grade student / neighbor with a baseball bat. Alex Ayers, age 10, was so severely beaten that he required emergency care a local hospital. The story was reported by WBAL TV 11 and other media outlets as well. The juvenile assailants lured Alex outside to join them by inviting him to play in a football game. It turned out to be much more a game for Alex and his assailants – it turned out to be a brutal crime that should be prosecuted. You can read more about this story at Baltimore County Police Report that Three Juveniles Charged for Beating a 10 Year Old Boy with a Baseball Bat.